Every Wednesday Karen Jacobs EdD, OTR/L, CPE, FAOTA hosts the Sargent Choice Test Kitchen in Stuvi 2 Apt. 2302 from 8-11pm. She kindly welcomes the BU community to test new Sargent Choice recipes while we eat, talk and play Bananagrams. Before the Thanksgiving holiday, we made SC Avocado Quinoa Salad with Dried Fruit, Toasted Almonds and Lemon-Cumin Vinaigrette. Although it’s called a salad, this recipe calls for a quinoa base and disregards lettuce. The creaminess of the avocado, crunch of the sliced almonds and softness of the dried fruit offers contrasting textures to this diverse entrée or side dish. While the touch of citrus from the lemon-cumin vinaigrette brings a bit of sunshine to the warm fall salad. 5 Reasons you should try this recipe. 1. 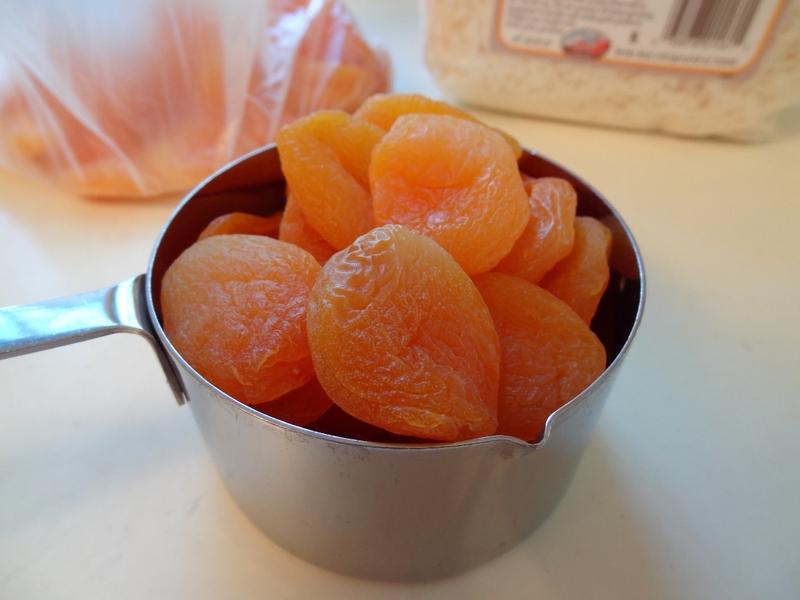 In a medium bowl, soak the raisins and apricots in hot water for 5 minutes. Drain and set aside. 2. In a 2-quart saucepan, bring 2 cups water, the quinoa, and ½ teaspoon salt to a boil over high heat. Cover, reduce the heat to medium low, and simmer until the water is absorbed and the quinoa is translucent and tender, 10 to 15 minutes. Immediately fluff the quinoa with a fork and turn it out onto a baking sheet to cool to room temperature. 3. Finely grate the zest from the lemon and then squeeze 1 tablespoon juice. In a small bowl, whisk the lemon zest and juice with the olive oil, coriander, cumin, paprika, and ¼ teaspoon salt. 4. 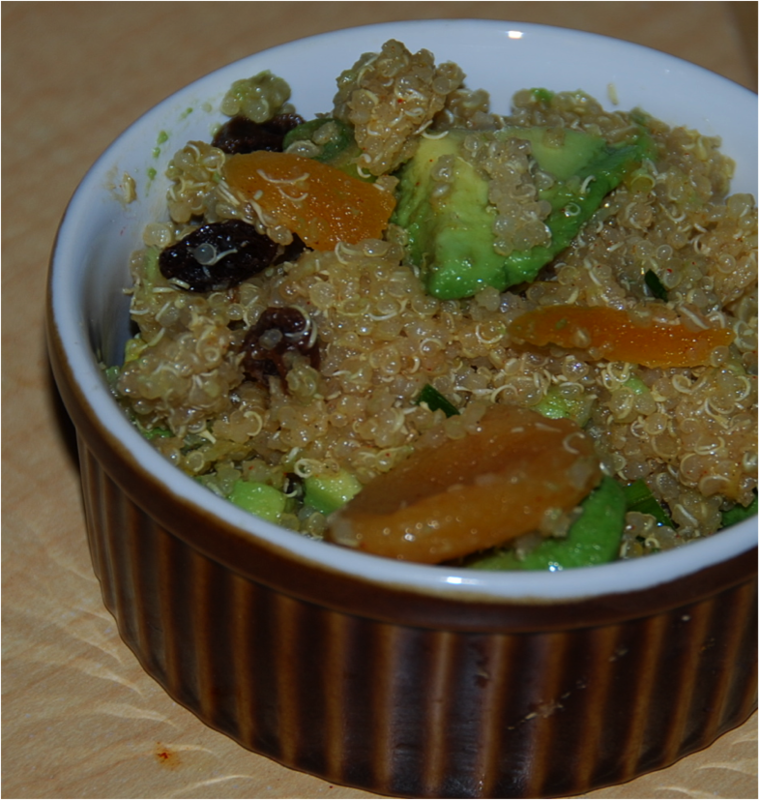 In a large bowl, toss the vinaigrette with the quinoa, raisins, apricots, avocado, scallions, and almonds.